FRANKFURT -- German registrations plunged 31 percent last month as sales dried up following the introduction of the Worldwide Harmonized Light Vehicle Test Procedure, or WLTP, on September 1. Prior to the introduction of the testing regime, Volkswagen and other brands had flooded the market to reduce stocks ahead of its introduction, which resulted in a 25 percent leap in sales overall in August. 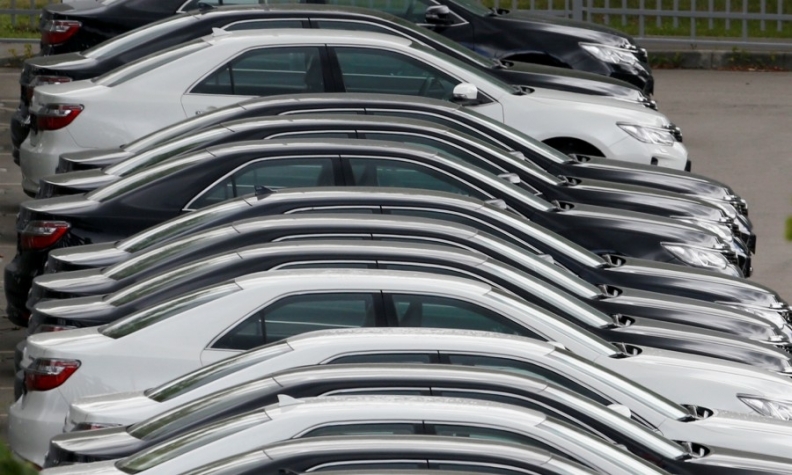 New-car sales fell to 200,134 in September, the KBA motor vehicle authority said on Wednesday. Most mass-market brands dropped last month. Audi decreased the most, falling 78 percent, followed closely by fellow VW Group brand Porsche, with a 76 percent drop. The group's core VW brand was next with a 62 percent fall. Seat volume was down 55 percent and Skoda 44 percent. From September, only half of VW's 14 passenger car models have been compliant with the new standard, the automaker has said, drastically curtailing its offerings. VW Group had warned that WLTP would dampen sales in September and October. The automaker has rented car parks and open parking lots to store the vehicles it cannot yet deliver. Honda fell 59 percent, ahead of Dacia with a 51 percent drop. Renault brand was down 44 percent. Other losers included Nissan, down 32 percent, Hyundai down 21 percent and Mercedes-Benz, which was also down 21 percent. Ford fell 17 percent, while Kia volume was down 13 percent and Fiat fell 12 percent. Mini sales were down 11 percent, while Opel fell 6.6 percent and Toyota declined 6.3 percent. BMW registrations fell 1.2 percent. Winners last month included Peugeot, whose sales rose 12 percent, DS, which increased 23 percent, Citroen, which was up 10 percent and Mazda up 1.8 percent. Through September, sales rose 2.4 percent to 2.67 million.